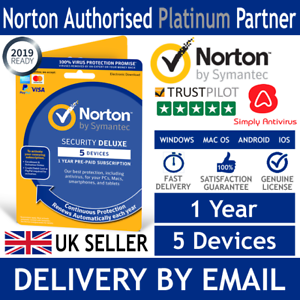 Norton Security Deluxe 2019. Suitable for renewing your current Norton Security Deluxe 5 Device for existing Users via your already installed Norton Software! If your device gets a virus we can’t remove, you get your money back .